It’s spring and time to get back outside! 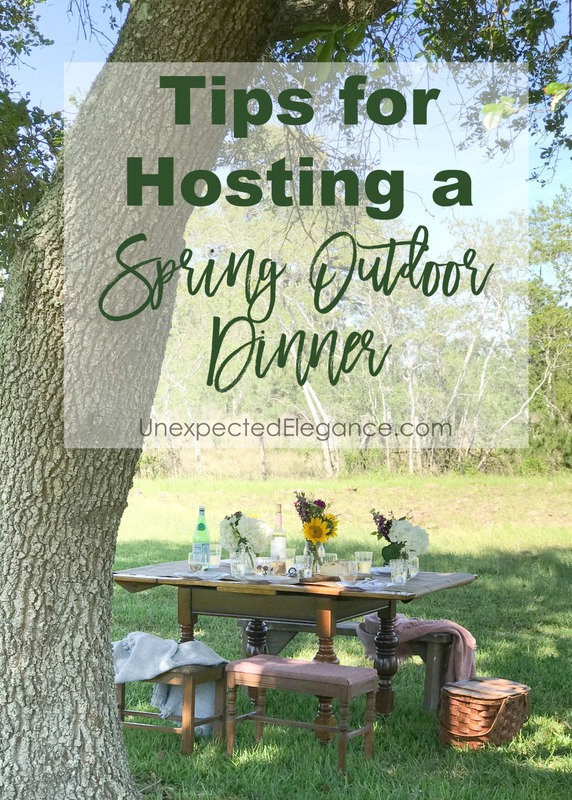 Invite some friends over and host a spring outdoor dinner in the backyard with these great tips. Spring is all about getting back outside, right? Which makes this time of year ideal for outdoor dining!! The weather is perfect and bugs aren’t out in full force yet. With that said, there are a few things that will make the experience better for you and your guests. 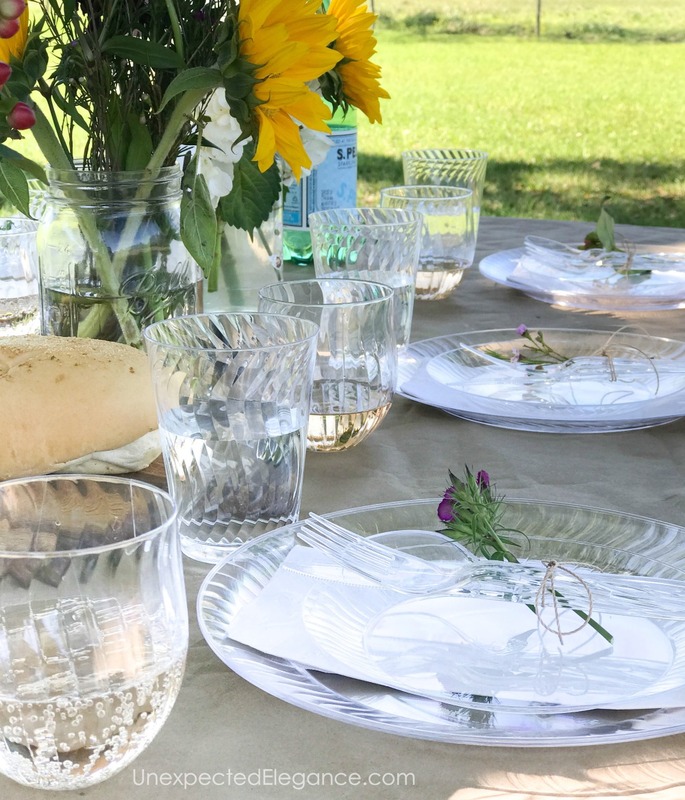 You don’t have to pull out the fancy dishes for a great outdoor tablescape. 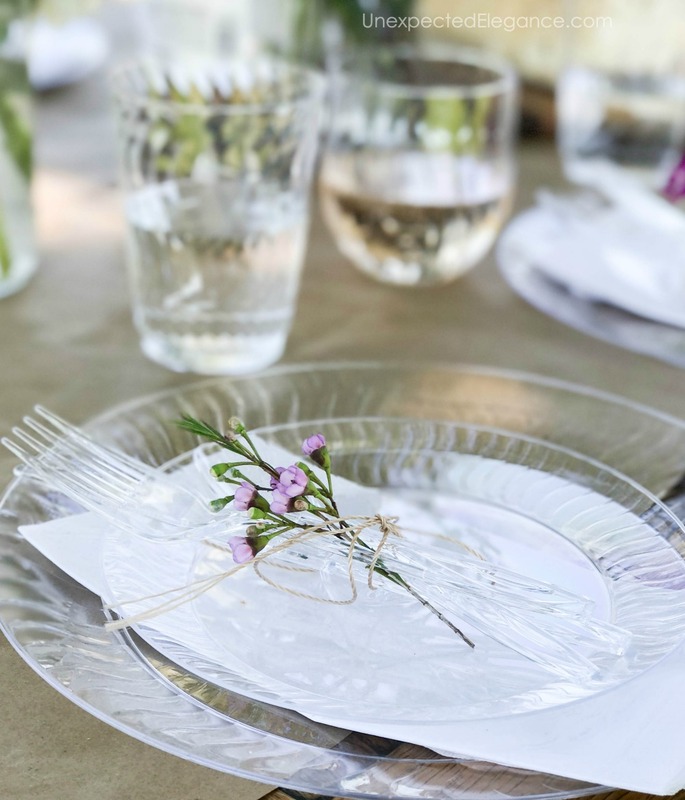 Simple and elegant disposable dishes, glasses, napkins and silverware are all you need. 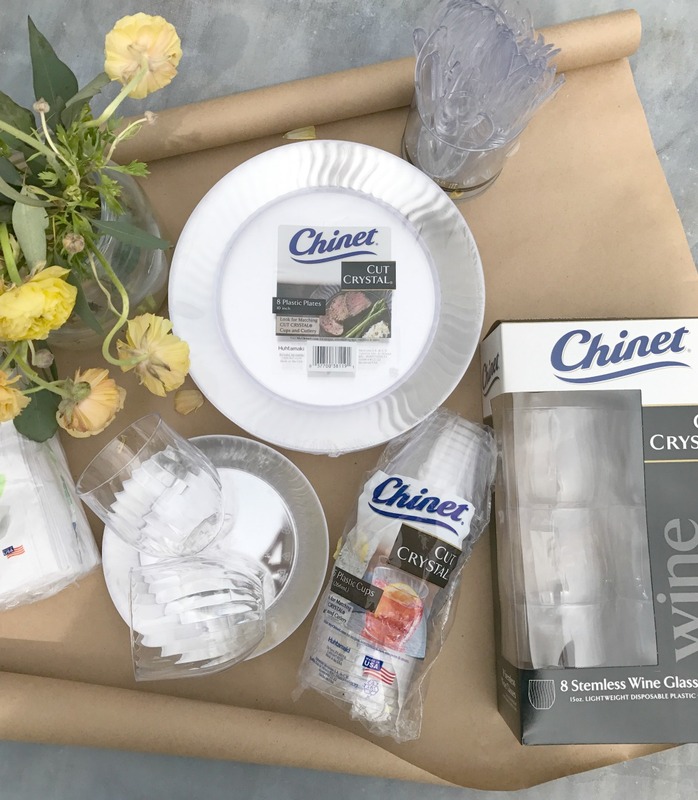 I like to keep the tableware neutral and Chinet® Cut Crystal® products are the only fully coordinated line of disposable tableware…they even have new stemless wine glasses. The clear design and elegant swirl pattern perfectly match any theme or décor. They make cleanup easy too—just throw away when done! These products are sturdy, so you might feel guilty throwing them away…if that’s the case, just throw them in the recycle bin (because they are all recyclable!). I suggest also putting down some type of heavy paper as table runner. I like to use either craft paper or gift wrap. It makes for a cleaner surface and you can just throw it away afterwards. At the end of the evening, just gather up the ends of the paper runner and toss everything in the trash. 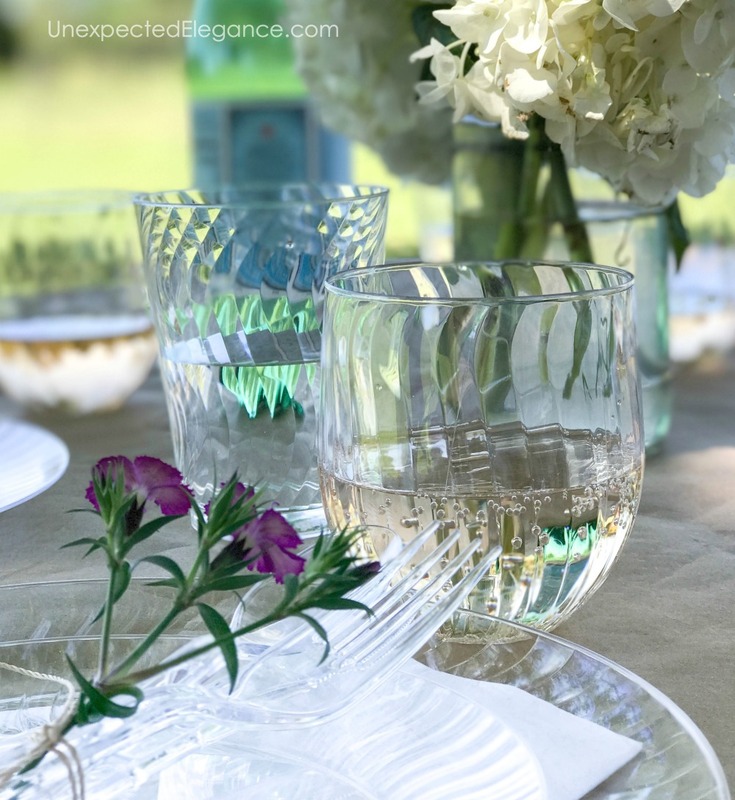 The Chinet Cut Crystal line is available in plates, cups, cutlery and even stemless wine glasses. You can learn more by visiting their website. Spring evenings can be chilly. A roaring fire pit, comfortable seating, and plenty of blankets will transform your backyard into a cozy little gathering spot for your friends and family. 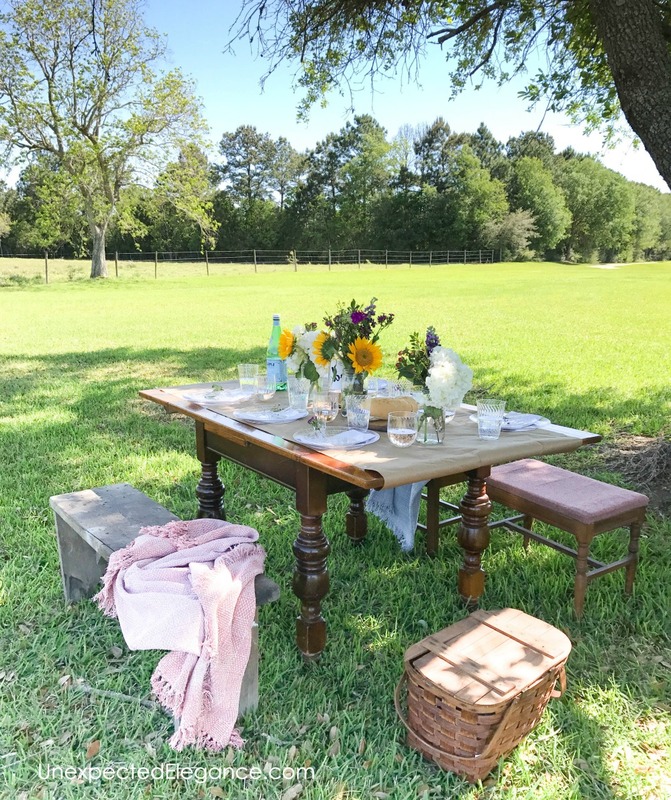 Your outdoor space doesn’t have to be a bland backdrop to a delicious meal. 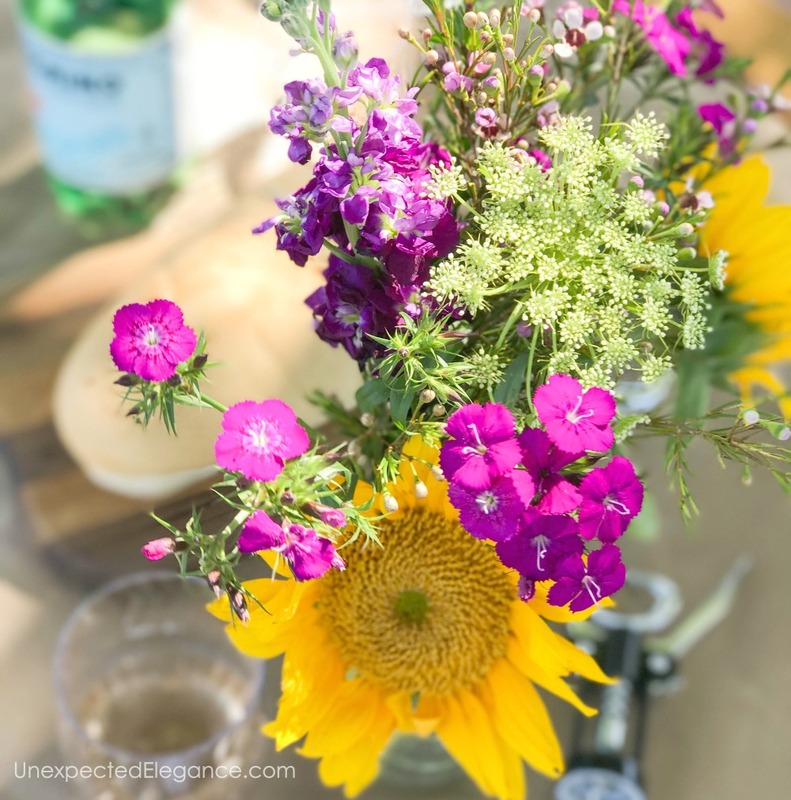 Store-bought flowers or even a handful of wildflowers can add some color to your table. 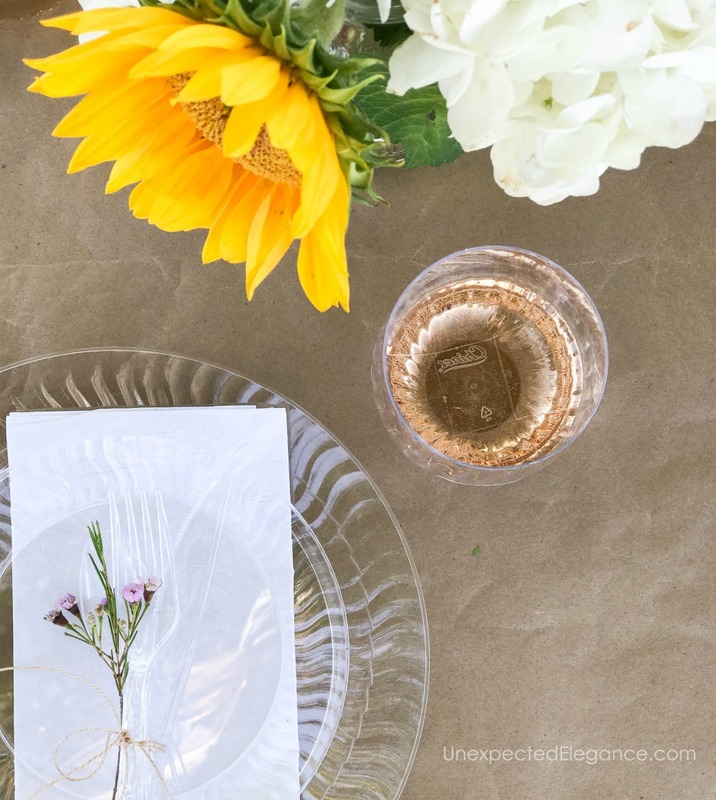 Use recycled jars and send the flowers home with your guests afterward. You want to make sure you can see your guests and the food after the sun has gone down. 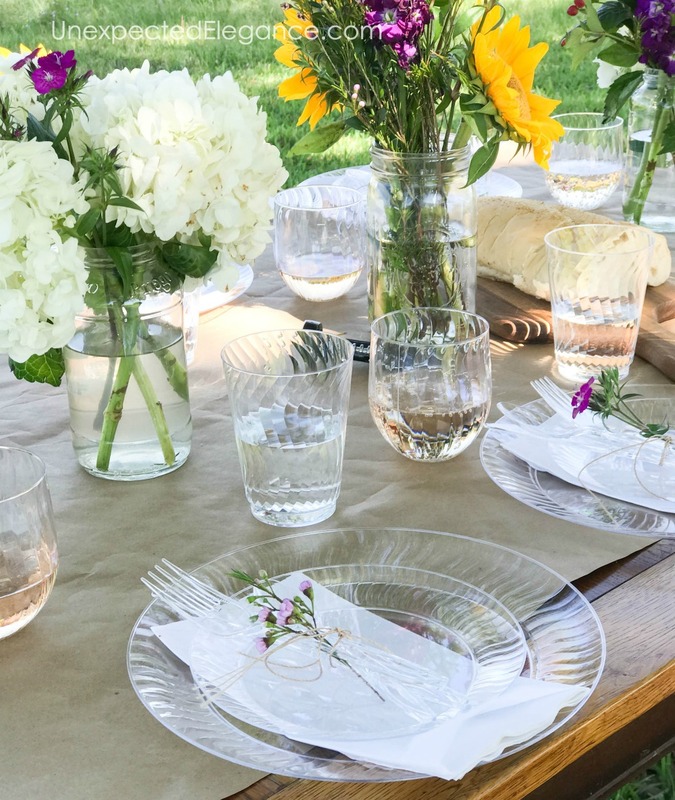 There are so many things you can do to add lighting to your outdoor spring dinner. Hanging solar lanterns, citronella torches, strings of white Christmas lights, or even just a few tea lights sprinkled around the table can add ambiance. Every great party includes music. Thanks to smartphones, you can easily add some great music to your party. All you need is a Bluetooth speaker and your favorite tunes. Make it fun by creating playlists – for example, if you’re inviting over friends you’ve known since high school, have a playlist of the songs you used to listen to. 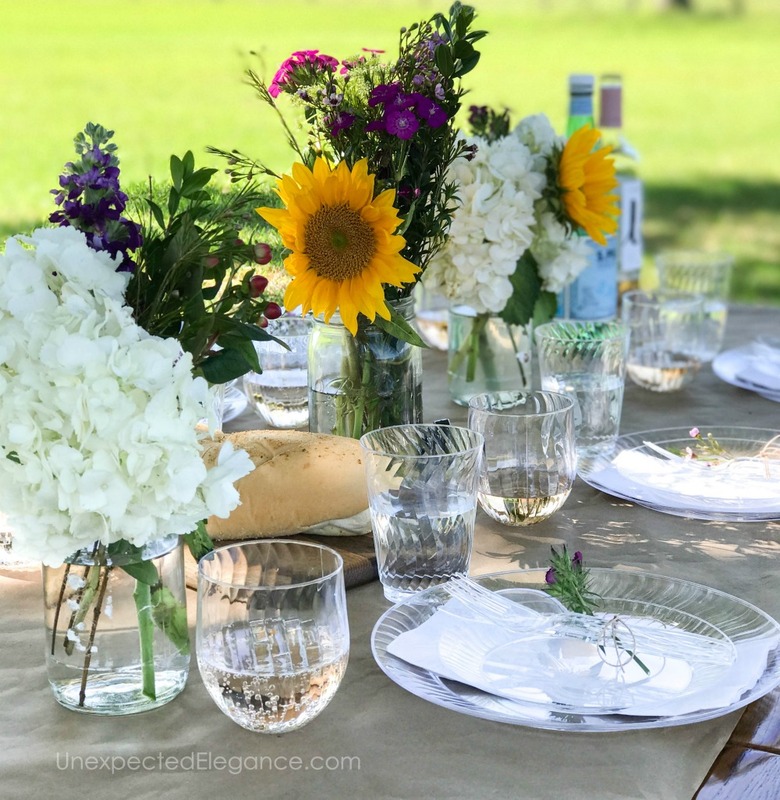 A great outdoor party isn’t hard to plan. You just need a bit of time to put everything together so that everyone is comfortable and entertained. 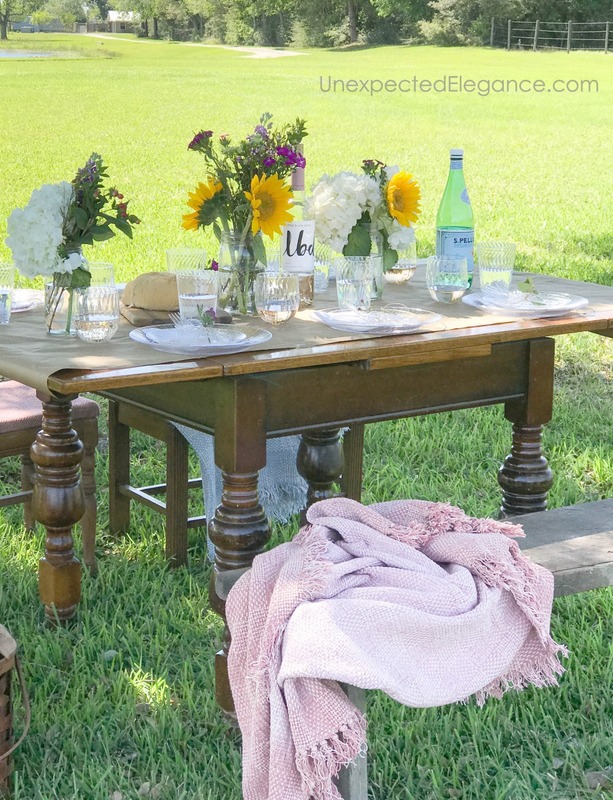 Invite neighbors, friends and family over for a great evening spent outdoors…eating! Learn more about Chinet® Cut Crystal®. OMG, I thought your table setting was crystal at first. 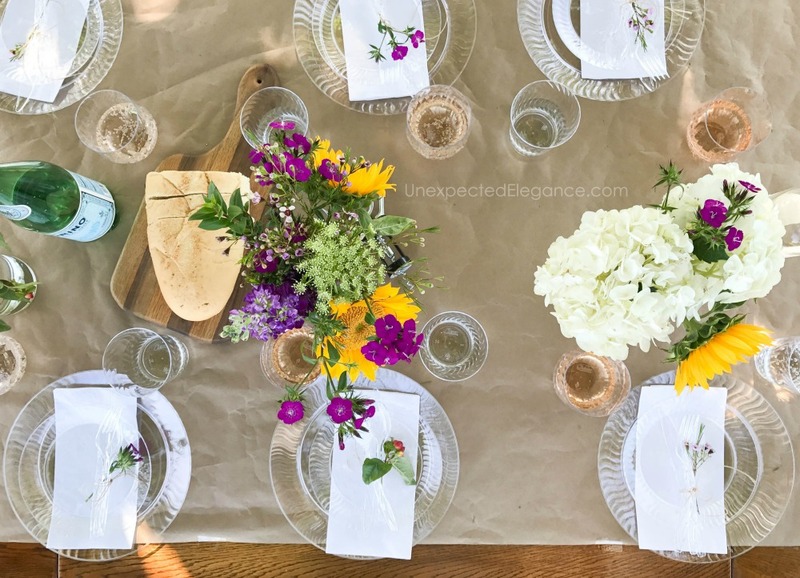 Wow, for sure, you nailed this tablescape. Thank you! Ivory, thank you!! 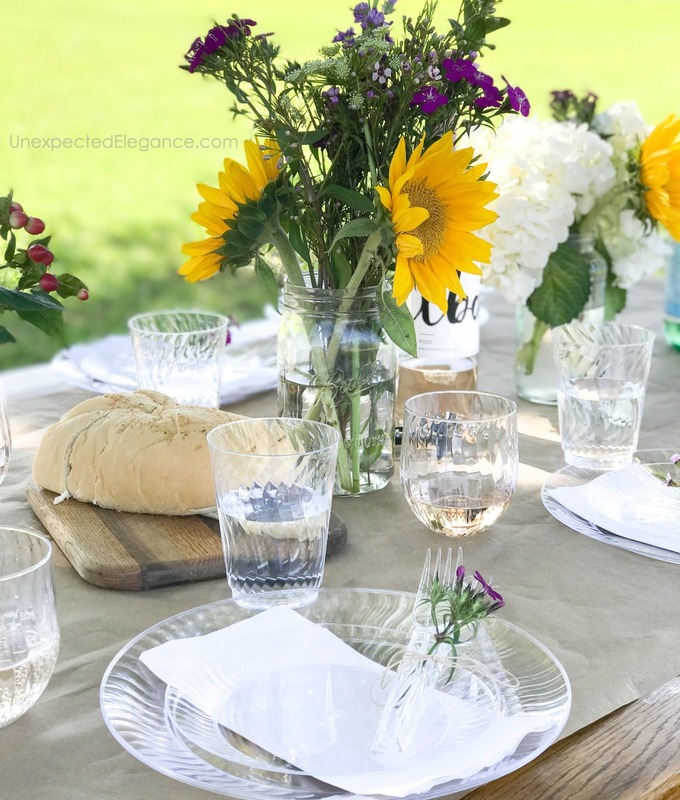 I love using those cups and plates…they are pretty and durable!